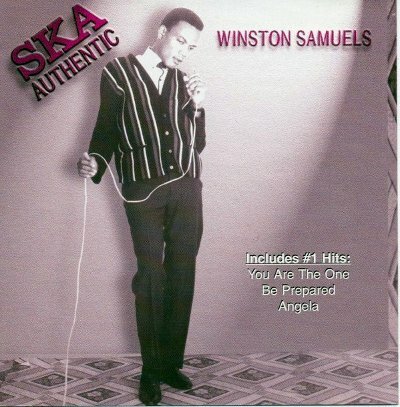 Winston Samuels, a long time hitmaker in Jamaica and a member of the group Desmond Dekker & the Aces, has died. Samuels was born Winston McInnis in Kingson, Jamaica in 1944 and was a singer from very early in his life. After finishing basic school, he moved to New York to study accounting, working for ConEd, before moving to Florida. He taught himself to play piano and, in 1962, took on music full time becoming a household name in Jamaica with a series of hits including "Angela" and "You Are the One". Winston also became a member of the Four Aces, who would change their name to the Aces with Desmond Dekker out front. The group had numerous hits in Jamaica including their debut "007 (Shanty Town)" and became international stars in 1968 with the release of "Israelites" which went to number 1 in the U.K. and number 9 in the United States. The next year, they would reach the British top ten again with "It Mek". Samuels did not participate in the Dekker tours, refusing to fly. According to Winston "Rastas did not fly on iron birds". Winston later recorded as a soloist again, recording such songs as "Let's Get it On" and "Lady Soul" in New York.